Whether you commute by car, bus, or train, it seems that delays are often inevitable in New York City. A recent report has revealed that the city is the third worst city for traffic in the world. RT America’s Trinity Chavez has more. 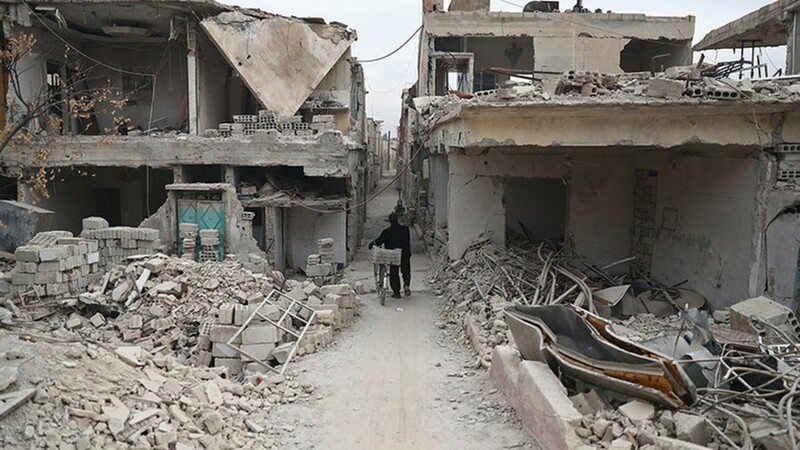 The United States, France, and Britain have accused Russia of worsening a humanitarian crisis in Syria with an assault on rebel-held territories full of civilians. However, Russia says Eastern Ghouta is largely held by terrorist groups such as al-Nusra. For more, RT America’s Ed Schultz is joined by former US diplomat Jim Jatras. Debate: Will Trump move the NRA to tighten gun regulations? In the wake of the Florida shooting, politicians and commentators alike are speculating how to prevent a tragedy like this from happening again. Will the NRA loosen its grip on the weapons industry, or will guns continue to proliferate in American society. For more on this, RT America’s Ed Schultz speaks with conservative commentator Chris Neiweem and radio and podcast host Ben Kissel.